Win prizes and help UC San Diego earn the “Coolest UC Campus” title by joining the Cool Campus Challenge April 1-26! In support of UC’s Carbon Neutrality Initiative, the university is soliciting ideas from UC community members for off-campus projects that reduce greenhouse gas emissions or sequester carbon. UC San Diego strives to find solutions that help protect our planet. Explore what we’re doing and how you can get involved. The Green Labs program helps laboratories reduce their footprints without compromising research quality or safety while improving efficiency. The Green Office Certification program helps campus offices promote resource conservation and recognizes their leadership in sustainability. 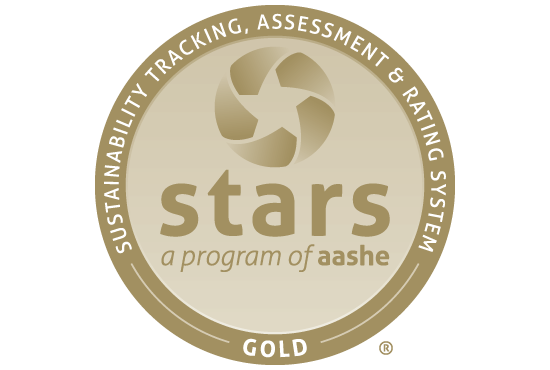 In May 2018, UC San Diego earned its second Association for the Advancement of Sustainability in Higher Education (AASHE) STARS Gold rating in recognition of its sustainability achievements. Only 112 colleges and universities worldwide have this distinction. The STARS report provides details about UC San Diego’s sustainability efforts across all areas, including academics and co-curricular programming for students, research, operations and on- and off-campus engagement.